Takemiya Masaki (武宮正樹, born Jan. 1, 1951) is a Japanese 9-dan professional Go player. Takemiya became a 1-dan professional in 1965. In 1967, as a 2-dan and age 16, he won several games against 9-dans, which earned him the nicknames Ten Best Boy and 9-dan Killer. He was promoted to 9-dan in 1977. Matsubara Taisei 5-Dan is his pupil. His son, Takemiya Yoko, 5-Dan was his pupil and has become a popular commentator. Takemiya became famous for his 'cosmic style' of play - focusing on the construction of large moyos and taking territory in the centre. However, Takemiya prefers to call his style 'natural style'. Takemiya considers that the centre-oriented style for him is the natural way for his stones to move and focuses in his book largely on the concept of 'playing with your heart' and playing moves which 'please'. 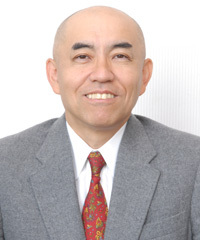 When asked who was his favorite persons' games to study, at the 2008 US Go Congress, Takemiya stated that it was Dosaku. Takemiya continued with how very strong Dosaku was and that he is considered to be the father of our modern opening strategies. Despite his natural flow he currently holds the record of the Longest Time Spent Thinking About A Move, due to a variation of the large avalanche joseki that he did not know and needed to reinvent on the spot. He visited Europe and the US many times for teaching tours. In 2009, he lectured at GO7 in Vienna, organized by Kobayashi Chizu. For several years, he has been one of the main guests at the American Go Congresses. He lost the first opening game ever of a Japanese top-match in Europe in Paris, May 1988. The game featured on the opening pages of the 0-issue of GO MOON, which appeared two days afterwards during the Amsterdam Open. About a year later, GO MOON started a special section of sanrensei games, as also other top-players like Cho Chikun, Fujisawa Shuko and Kato Masao also started to apply this opening in their games. In January 1996, he attended the opening game of the Kisei-match between Cho Chikun and Kobayashi Satoru in Amsterdam. Seo Bongsoo credited Takemiya with leading Korean players to revalue the center, and contributing greatly to their style of play. http://www.britgo.org/files/bgj/bgj096-1.pdf. Commented games on Jan van der Steen's site. Go style of Takemiya. Is it a best choice for you?